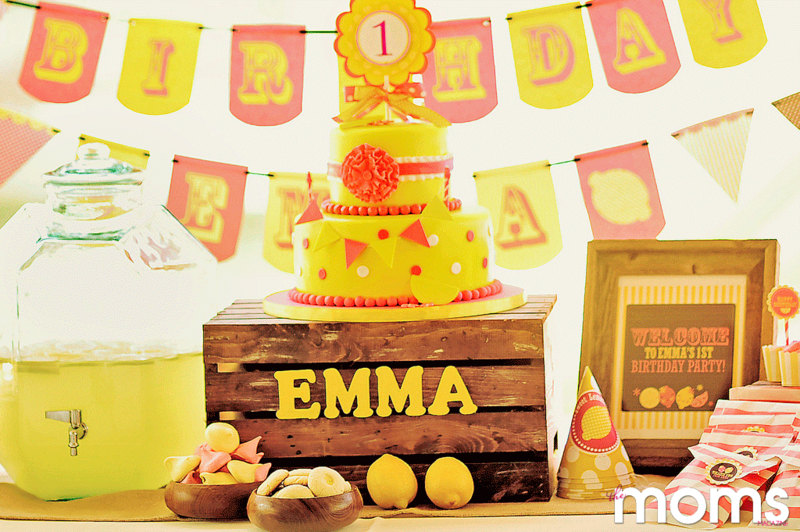 Perfect for summer, create a sweet party to suit the season with a “pink lemonade” birthday. 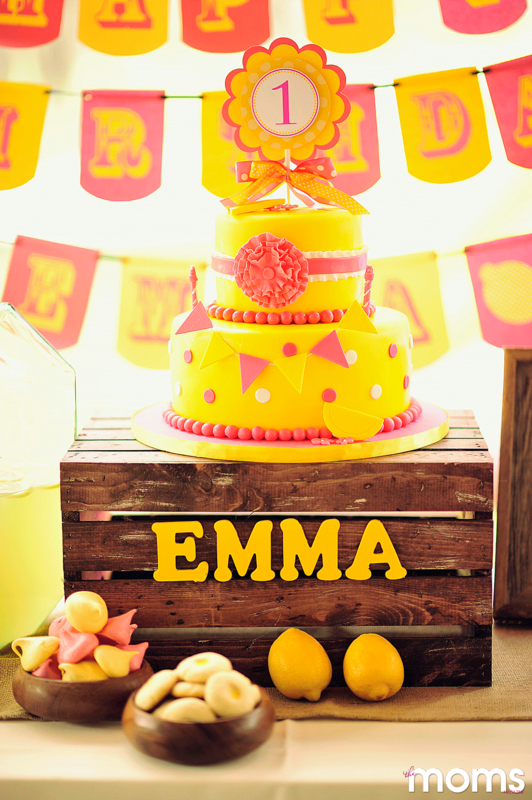 Your two main goals for the party: bright and fun! Use the color palette to inspire you, and use a variety of other elements to bring the look together. The cake was an inspiration found on Pinterest and designed by the amazing Diana, Baker/Owner of Cupcakehearts. 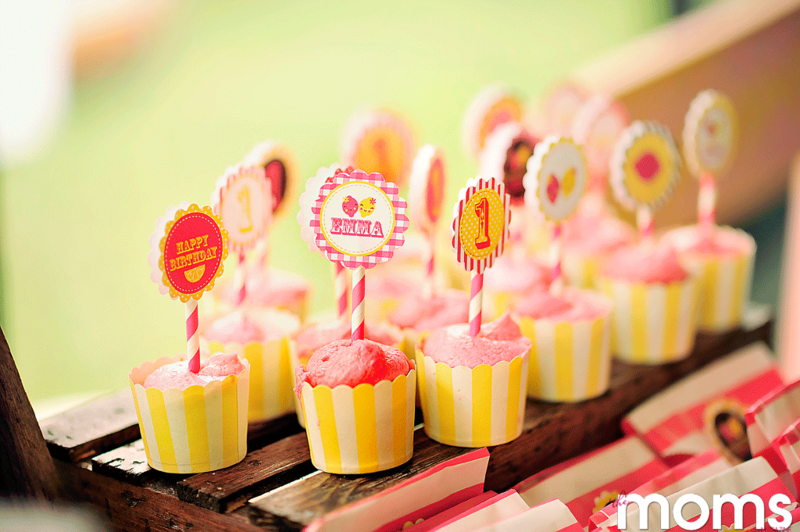 Cake stand, cupcake stand and French bottle stands are wooden boxes that come in different sizes from Michael’s craft store. Choose a natural blonde color wood to make them look rustic, then sand them and later beat them with a hammer and nails. With a quick application of dark wood stain, all the imperfections will come out and make them look like they belong in an old rustic barn. 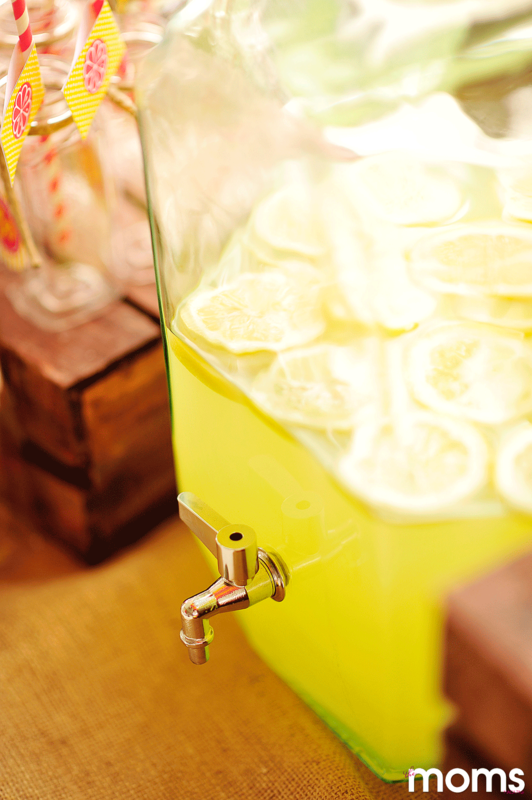 Of course, you can’t have a lemonade party without lemonade, so fill a large glass pitcher with fresh lemonade and sprinkle in fresh-cut lemons. 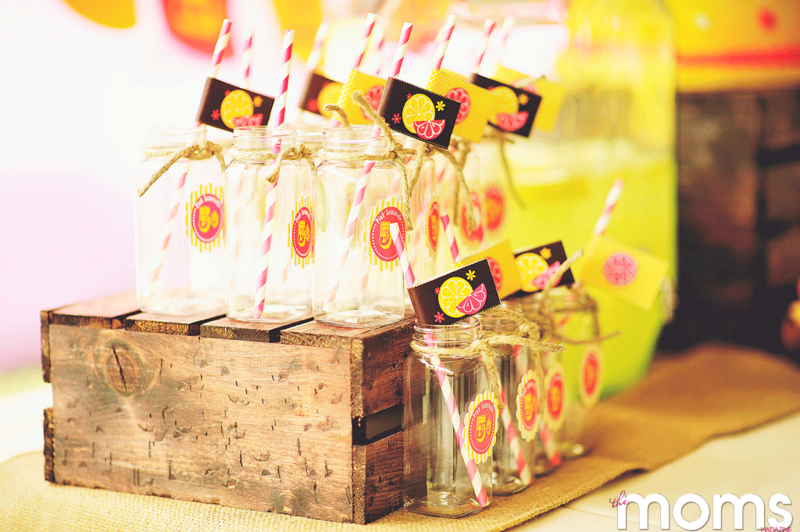 You can find French bottles, straws and cupcake cups from thetomkatstudio.com. 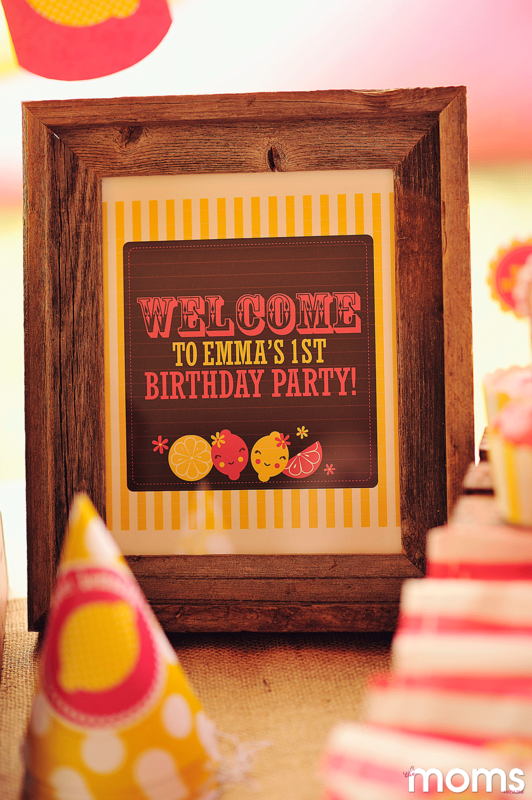 All party printables were designed by Stockberrystudio on Etsy. For a whimsical look, hand-cut and glue unique decals. Create centerpieces from large mason jars, filled with fresh flowers from the back yard. And wood buckets from Hobby Lobby can be filled with lemons and topped off with a custom plant stake to achieve that homemade feel. 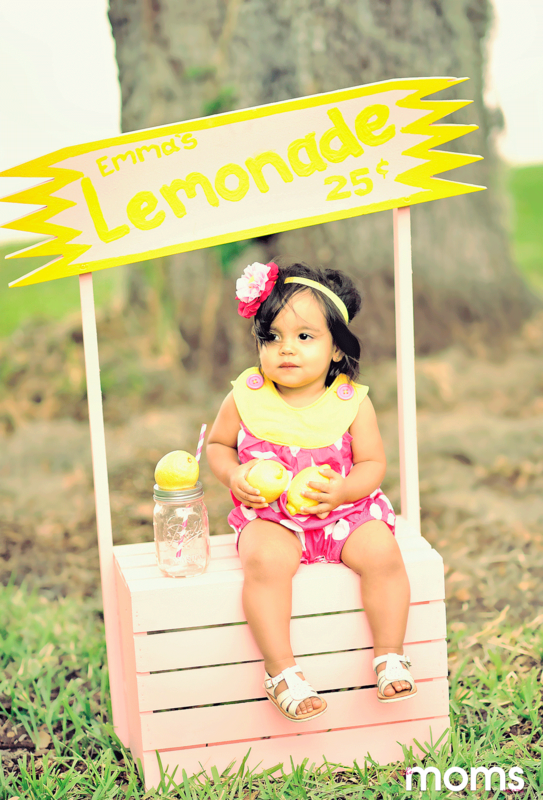 For event designs, email Natasha at ohmysophia@hotmail.com.